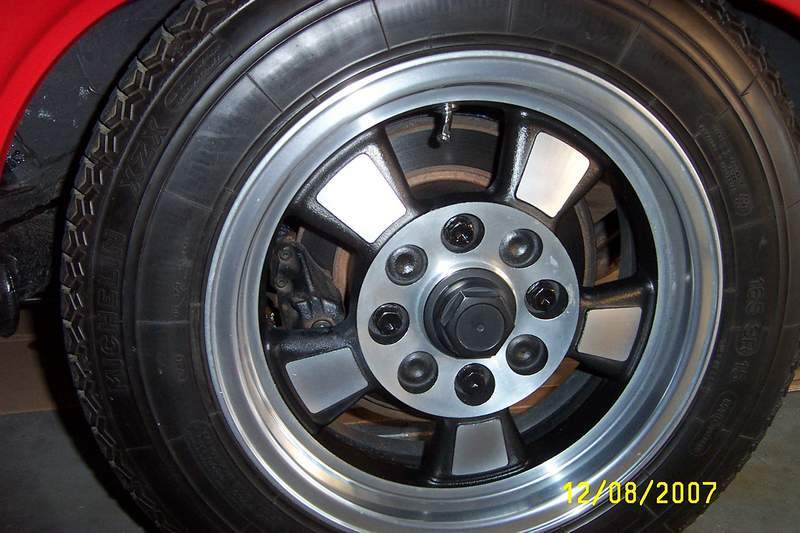 Our 72 914 came with Riviera wheels that a PO had installed. 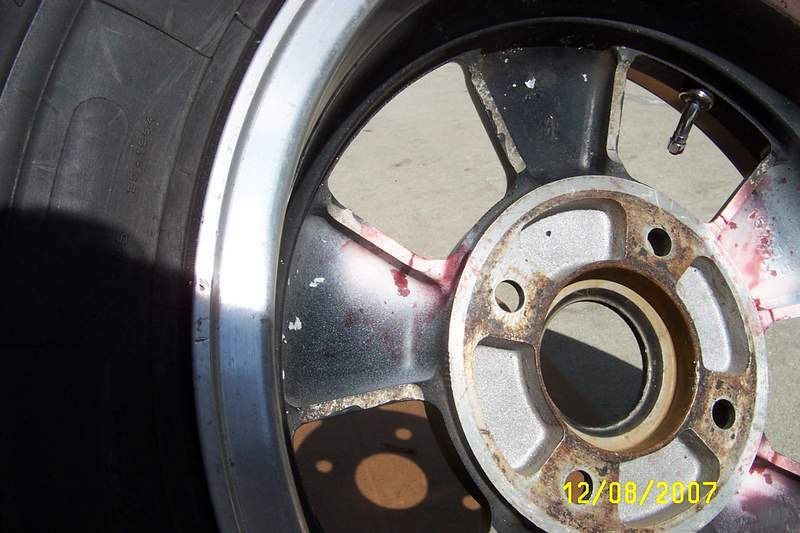 A search of previous posts on these wheels yielded that they are prone to crack but with out much detail. Upon cleaning ours today we noticed what appeared to be cracks on several of the webs (spokes) on the rear wheels. 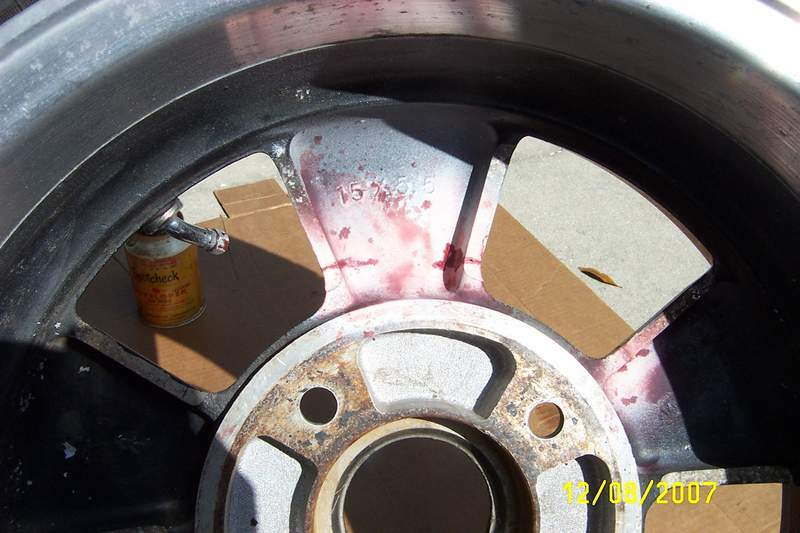 We did a dye penetrant inspection on several of the webs on one of the rear rims and found significant cracking. We did not check every web on this wheel with the penetrant but it appears that 4 of the 5 webs are cracking. The other rear wheel has two of the webs cracking. The fronts are fine. As the photos show, the cracking on one of the webs is almost the entire way across. To my knowledge this car was never raced or auto-crossed and was seldom driven as it has just over 55K miles. We have no idea how long the rims have been on the car or how old they are. The are definitely VW Rivieras as the back space is 4". Our spare rim is the original Porsche steel rim that has the correct back space of between 4.5" to 4.75"
If you have Rivieras on you car you should probably check them. If you have access to anyone who could do a penetrant inspection that would be recommended, although our cracks are visible. The penetrant test showed how far they were going which was not visible. Anyone got a good set of of original steel wheels with the correct backspacing, or early Pedrinis. (our car does not have the later centering hubs), or anyone got two good Rivieras cheap that are not cracked and of the same style?